Top left, left Pistacia atlantica, right Pistacia sp. Dja'de 134. 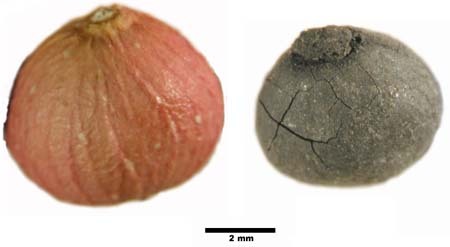 Top right fragments, left Pistacia sp. Jerf el Ahmar 256, right Pistacia atlantica. 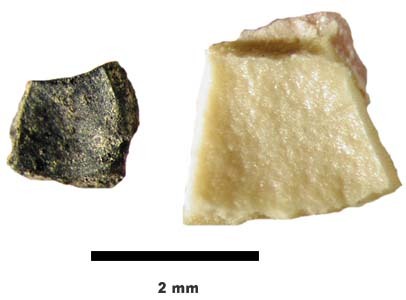 Bottom left fragments, Pistacia sp. Jerf el Ahmar 262, right Pistacia atlantica. 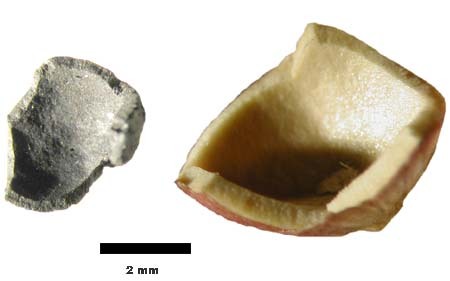 Fragments of this fruit are ubiquitous on early Neolithic sites in the Near East.They could have been consumed or used to extract oil.